Giancarlo Fisichella signed Sauber F1 Photo - BIG ! 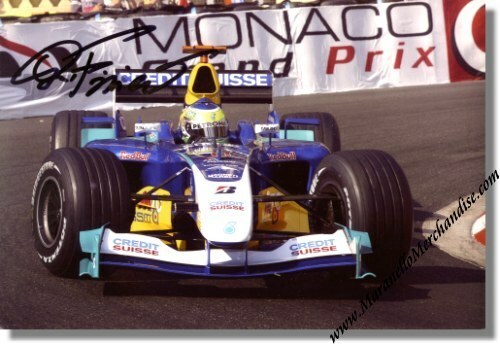 << Back Giancarlo Fisichella signed Sauber F1 Photo - BIG ! Giancarlo Fisichella signed Sauber F1 Photo. This is a HUGE photo of "Fisico" at work in his Sauber Petronas F1 car during the 2004 Monaco Grand Prix. The photo measures approximately 30 x 20 cm or 12 x 8 inches.